Why do tens of millions of Americans and millions around the world feed birds? First and foremost, feeding wild birds brings these nice and spectacular animals into our backyards, allowing us to connect back with nature and with them helping us to appreciate nature. Feeding birds is also fun—who from us can resist watching the antics of a chickadee? And attracting a colorful goldfinch or a cardinal to our backyard can make happier and brighten even the most gloomy day. Wild birds generally don’t need the “free” food that humans give them, in fact, studies show that the bulk of a birds’ diet is still coming from natural sources other than feeders and provide plenty of food. But birds do need us to protect habitats. Making our backyard or neighborhood feeding friendly and more attractive to birds is a first of our steps in ensuring that your future generations can enjoy feeding birds as well. Finches, chickadees, titmice, cardinals, nuthatches, and many other common feeder birds readily consume black-oil sunflower. 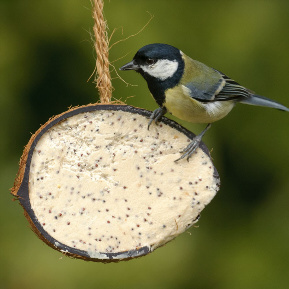 The number of foods offered to wild birds continues to increase. In most areas, however, black-oil sunflower is the best all-around choice for attracting a wide variety of species. Safflower is superficially similar to sunflower, but fewer species of birds consume it. It is most readily eaten by cardinals. 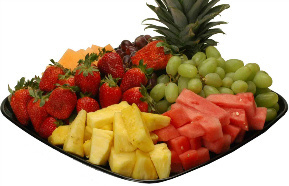 Fruit is readily consumed and loved by many species including robins, bluebirds, and mockingbirds. Fresh fruit – such as apples and oranges -- can be offered. Orioles are particularly fond of and wil eat oranges. Dried fruits may be consumed and offered by these species as well. 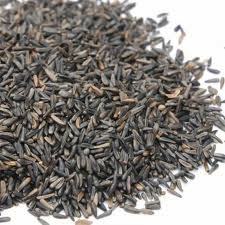 Striped-Oil Sunflower: a larger sunflower seed, not as preferred as the black-oil type but still okay to use. Sunflower- Black-oil sunflower is the preferred seed of many backyard birds and is generally the best of them all for all-around attractant. Its kernels are high in energy. In addition, its small size and thin shell make it easy for all size and specialy for small birds to handle and crack. 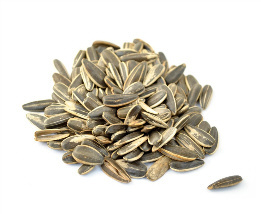 Striped sunflower seeds are larger and have a thicker shell making them difficult for small birds to consume. This seed will be favored cardinals, titmice, nuthatches, grosbeaks, finches etc. 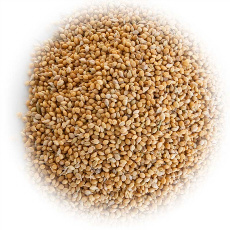 Millet (proso): the little round white and red seeds and can be easily found in a typical bird mix; said to be favored by mourning doves and sparrows, although some people report that birds scatter and some time waste the white seeds as they pick out the sunflowers as they eat. Nyjer (niger or thistle)- Goldfinches, house and purple finches, and siskins are extremely fond of nyjer and will select it and eat this seed in preference to most other foods. However, it is expensive also more compared to other seeds. Their small size, along with their cost, makes it important to provide them in specially designed Nyjer type feeders made of metal mesh or with small feeding ports. A quality nyjer feeder will allow many birds to access and feed at once, while not allowing excess seed to be wasted. Commercial nyjer that is sold here are grown and comes from Africa, India, and other areas of Southeast Asia and exported around the world. 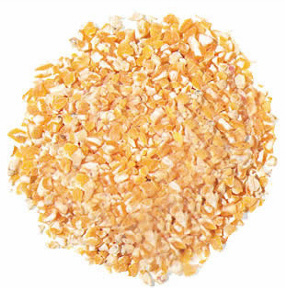 Cracked corn- Medium cracked corn is as popular as white proso millet with ground-feeding birds such as quail, doves, jays, juncos, towhees, and native sparrows. It is also enjoyed by larger birds including crows, turkey, ducks, and cranes. It can be fed in small amounts, mixed with white proso millet, on platform feeders and in hopper feeders. Be aware that, as with millet, it can attract unwelcome species such as cowbirds, house sparrows, and European starlings. Corn is a less desirable feed because corn kernels rapidly soak up water, leaving them vulnerable to rot and contamination by afltoxins, which are extremely toxic to birds even at low levels. Therefore, corn must be stored with care in situations where it is to be used as bird food and should not be used in feeders in wet or damp weather. 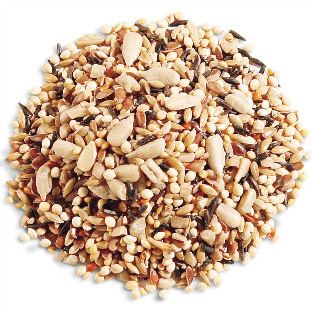 Milo, wheat and oats- Low-priced bird seed blends frequently contain milo, wheat, and oats. However, most birds prefer to eat other foods and will discard these on the ground where they accumulate and attract rodents. 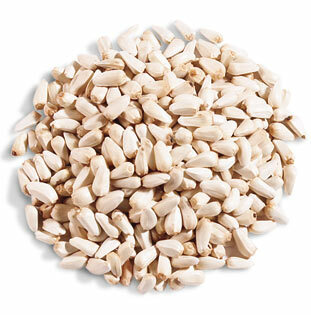 The only birds that really consume these seed types are quail and doves. Peanuts- Whole or crushed peanuts are popular with woodpeckers, chickadees, titmice, nuthatches, wrens, kinglets, northern mockingbirds, brown thrashers, starlings, jays, and certain warblers. 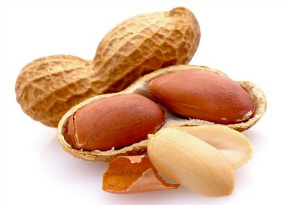 Like corn, peanuts have a high chance of harboring aflatoxins and must be kept dry. They can be provided in feeders similar to those used to feed thistle but with a larger mesh, as well as tube, hopper and platform feeders. Sugar water- Sugar water is used as a substitute for the nectar consumed by hummingbirds. Orioles, cardinals, and woodpeckers will also feed on sugar water. It can be made by mixing and boiling four parts water and one part sugar. Do not use honey to make sugar water as it can spread a fungal disease lethal to the tiny birds. Alternatively, convenient, ready to mix nectar packets and bottles of concentrate can be bought from many stores. Nectar containing red coloring should be avoided. 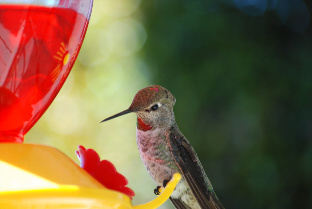 The coloring can be toxic and is not necessary to attract hummingbirds, providing the feeder has some red colored parts. Seed “Mix” or Blend: this is the cheapest generic mix that is easy to find at the average grocery store or mammoth mart. 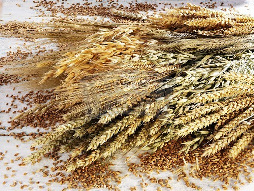 But you get what you pay for: these mixes usually contain mostly millet and scant sunflower and are therefore not the best bang for the buck, because most of the seed is not eaten. Better to place your dollar on the opposite proportions, that is—a big bag of black-oil sunflower seeds with a few handfuls of the millet mix thrown in. There are a range of other bird foods you can try. Bluebirds and orioles like mealworms. These birds, along with house finches and woodpeckers, also like fruits such as apples, oranges, peaches, berries, and bananas. Be creative, try a variety of foods, and see what birds you can coax into visiting your yard.